Scrape the apricot spread into a food processor and add the hot sauce and lime. Process until blended and smooth. Scrape into a small serving bowl. Set the dipping sauce in the middle of a large round platter. Stand the pineapple on a cutting board and cut it into quarters. Cut the quarters crosswise into 1/2-inch slices. Arrange the pineapple, jicama, cucumber and radishes into quadrants around the dipping sauce, filling the space between each one with lime wedges. Mix together the powdered chile and salt. Sprinkle it over the fruits and vegetables (it's easiest to sprinkle evenly if you put the mixture in a small shaker). You're ready to serve. I’m laying out a table of Mexican botanas for my mom’s memorial at her home in Pt. Penasco, MX. The crudit? ?s with Chamoy dip seems just right, however when I noticed it was marked w only 2 stars, I thought may be there’s something that needs tweaking – is the dip too sweet? 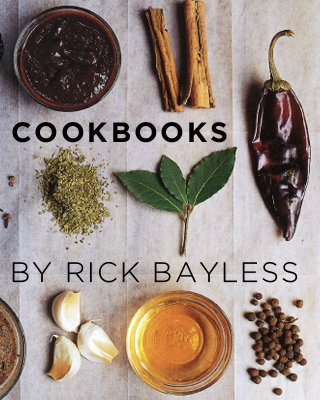 I have always been satisfied w/ what I’ve prepared from the several Rick Bayless cookbooks I’ve had over the years. I realize sometimes those stars could come from 1 or 2 who are not familiar w the ingredients & am happy to ignore them but being this is a very special occasion, I wanted to ask.BIG THANKS!